It’s happened. We are throwing in the towel. 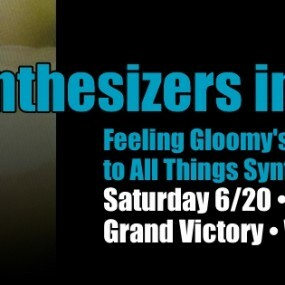 We’ve given in to our love of all things synthesizer and are dedicating an entire dance party to synthpop and synthesizers. Big synthpop bands like Depeche Mode, Erasure, New Order, Soft Cell, less known acts like Bronski Beat, Telex, current synthy favorites of ours like Future Islands, Young Galaxy, CHVRCHES, all will get their moment in the sun, er, rain.